■ 프로그램 소개 하이든 / 현악4중주 제30번 내림 마장조 Op.33-2 Hob. III:38 “농담” Haydn / String Quartet No.30 in E-flat Major Op.33-2 Hob. 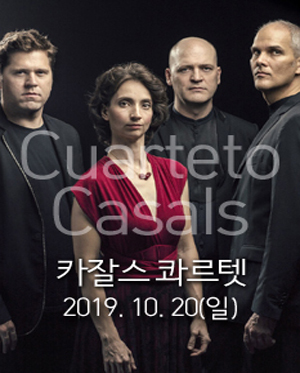 III: 38 "The Joke" 베토벤 / 현악4중주 제6번 내림 나장조 Op.18-6 Beethoven / String Quartet No.6 in B-flat Major Op.18-6 Intermission 모차르트 / 현악4중주 제22번 내림 나장조 KV 589 “프러시안” Mozart / String Quartet No.22 in B-flat Major KV 589 "Prussian" 베토벤 / 현악4중주 제11번 바단조 Op.95 “세리오소” Beethoven / String Quartet No.11 in f minor Op.95 "Serioso" ※ 상기 프로그램은 연주자 사정에 따라 예고없이 변경될 수 있습니다.